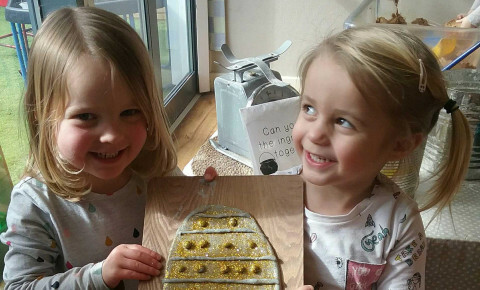 The children in the preschool room have been very excited for Easter this week. 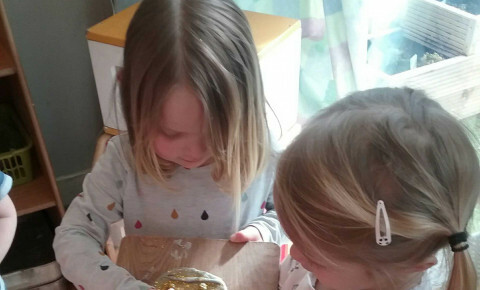 They have been taking part in lots of Easter activities, and especially enjoyed the Easter themed playdough. 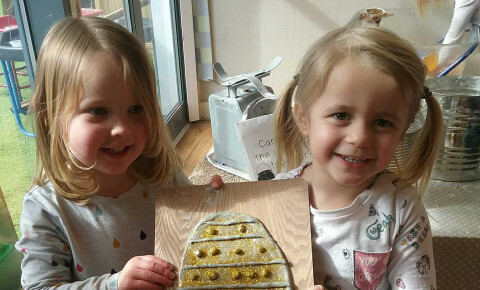 The preschool girls are very proud of their glittery Easter eggs that they have made out of playdough! We can't wait to do more activities later this week!